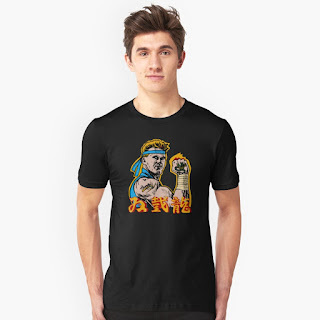 Home / Arcade / Double Dragon / t-shirts / video games / The Two Original Double Dragon Heroes On One Exclusive T-shirt! 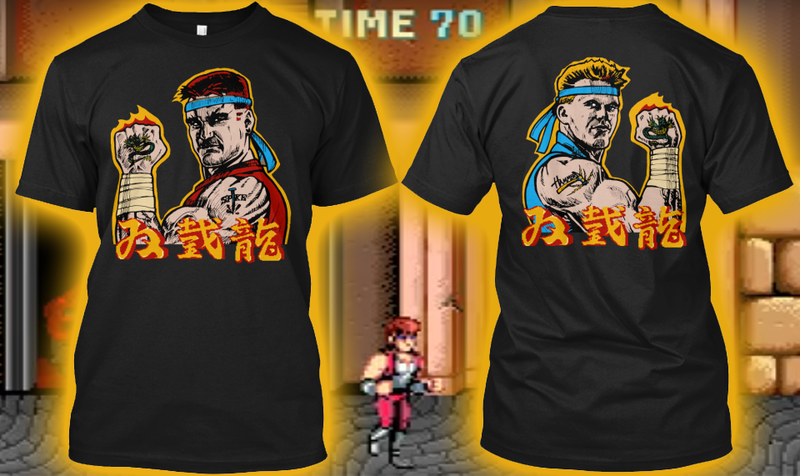 The Two Original Double Dragon Heroes On One Exclusive T-shirt! Before they were known as Billy and Jimmy Lee, the two heroes from the 1987 Double Dragon arcade game went by different names. Spike and Hammer were the two original ambassadors for the game appearing on promotional flyers and the marquee of the cabinet machine itself. Now, you can display these two buttkickers on a new t-shirt designed by me! I've dabbled in Photoshop for years and have created some unique designs from properties that I still enjoy and hold in high accord. It's not my profession by any means but I do take pride in my work and hope it really shines through in this Double Dragon design. I took the characters from the arcade marquee, cleaned them up as best as I could and inserted the lettering from the original Double Dragon title screen. 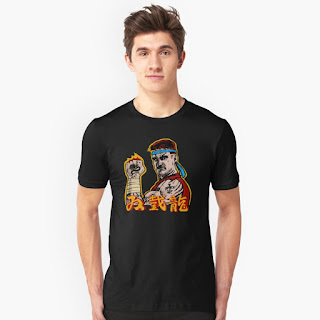 Spike and Hammer both have their own shirt! This design is available through RedBubble and the shirts come in an array of colors to choose from and in both short or long sleeves. Any profits go right back into the Rediscover the 80s website so I appreciate your support! I've got more plans for others '80s design in the near future and I'm always open to hear your thoughts and ideas.